Due to growing numbers of students from the Leeds, Doncaster and North and South Yorkshire areas, Northumbria University has decided to make it easier for potential students and tutors to meet with staff and find out more about the University. Northumbria is taking its Open Day on the road with its first ever pop-up Open Day in the heart of Leeds city centre on Wednesday 9 December. On the same day, the University is also expanding its NU Entry points scheme into Yorkshire. The scheme gives students the opportunity to earn the equivalent of UCAS tariff points to help them to gain entry to the University. The pop-up open day will see staff from Northumbria’s admissions, accommodation and student support and wellbeing teams travel to Leeds to talk to potential students about how to apply for courses and write persuasive personal statements. They will also give first-hand detail about the different types of accommodation and support available for people who study at Northumbria. The pop-up Open Day will be held in The Leeds Club on Albion Place between 12.30pm-4.30pm. Gilly Gosling-Bell, Head of Student Journey at Northumbria University, said: “As we are based in the heart of Newcastle, we have always been a popular university of choice for students from the Yorkshire area. The level of interest from the area led to us feeling that it would be beneficial to come down to Leeds and make ourselves available in person to potential students, teachers and careers advisors. 18-year-old Catherine Richards from Harrogate is in the first year of a Human Geography degree at Northumbria University and believes it is an excellent choice for people from Yorkshire to consider. She said: “Leeds is a great city, but when I was looking for a university it felt a bit too close to home, whereas Newcastle is a good distance away, yet still close enough to get home for visits. 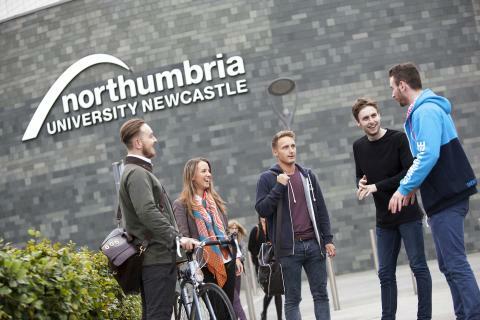 “I absolutely love it at Northumbria and would recommend it to anyone. The University’s sporting facilities absolutely blew me away and I love my course which includes trips around the country and abroad – next year we get to go to Spain. I’m living in great halls which are just a short walk from the campus and the town centre which is ideal.